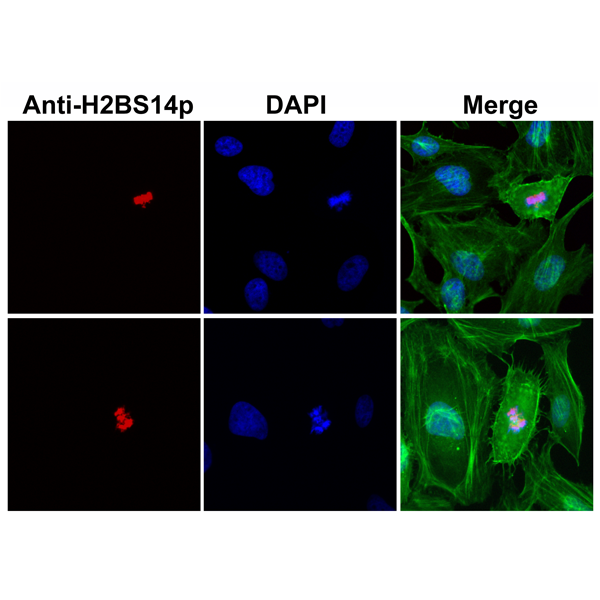 No cross reactivity with other phosphorylated histones. 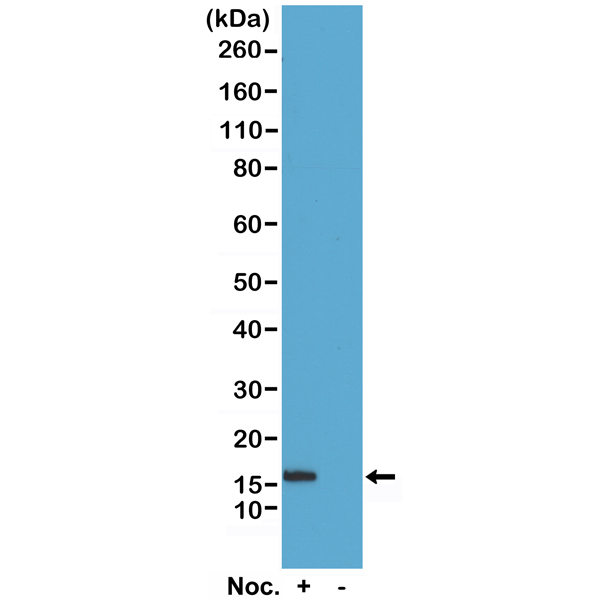 Western Blot of acid extracts of HeLa cells treated or non-treated with Nocodazole. Using RM238 at 0.5 ug/mL, showed a band of Histone H2B phosphorylated at Serine 14 in HeLa cells. Immunocytochemistry of HeLa cells using Anti-Phospho-Histone H2B (Ser14) Rabbit mAb RM238 (red) and DAPI (blue). Actin filaments have been labeled with fluorescein phalloidin (green).